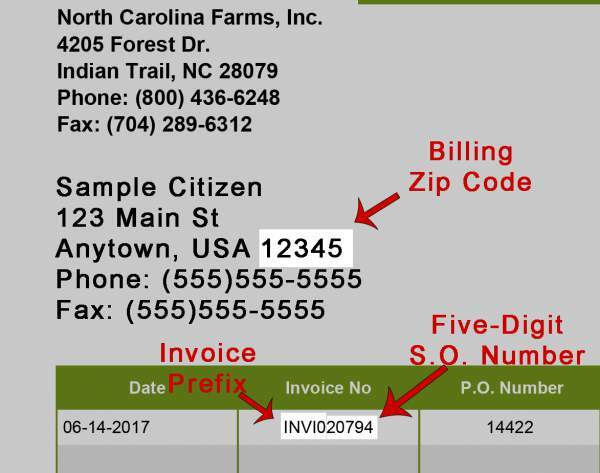 To pay your North Carolina Farms bill online, please enter the following information found on your statement. Your invoice number begins with our standard billing prefex (INVI0), followed by your five-digit sales order number. We have prefilled the prefix for you. Just enter the five digits that follow.